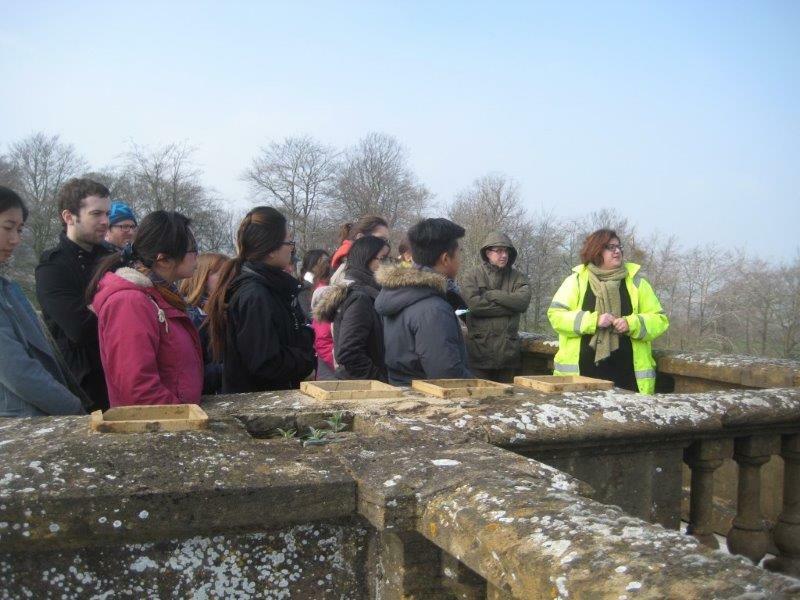 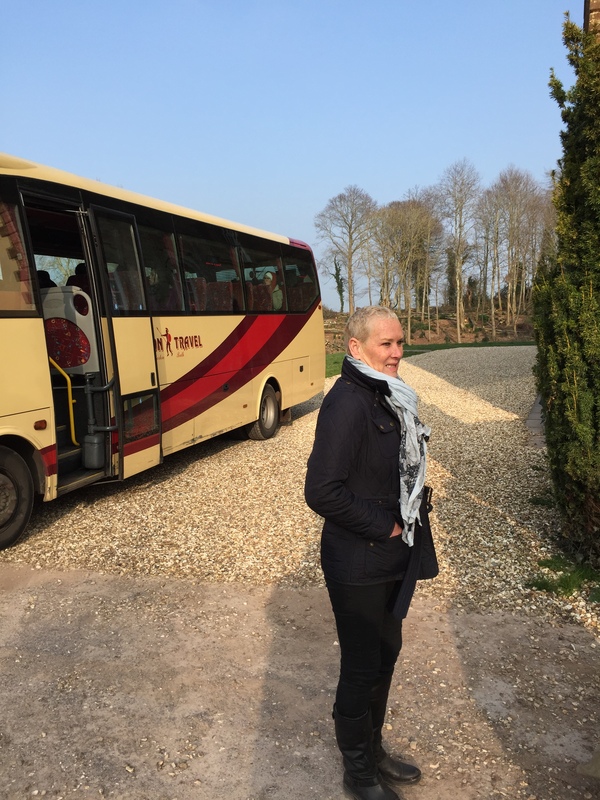 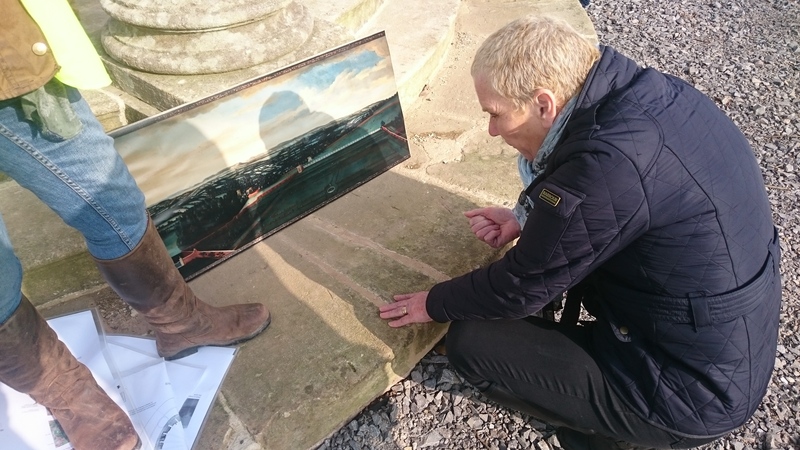 On the 18th March 2015, masters students, studying the Conservation of Historic Buildings and the Conservation of Historic Gardens and Cultural Landscapes, from Bath University, visited Halswell Park. 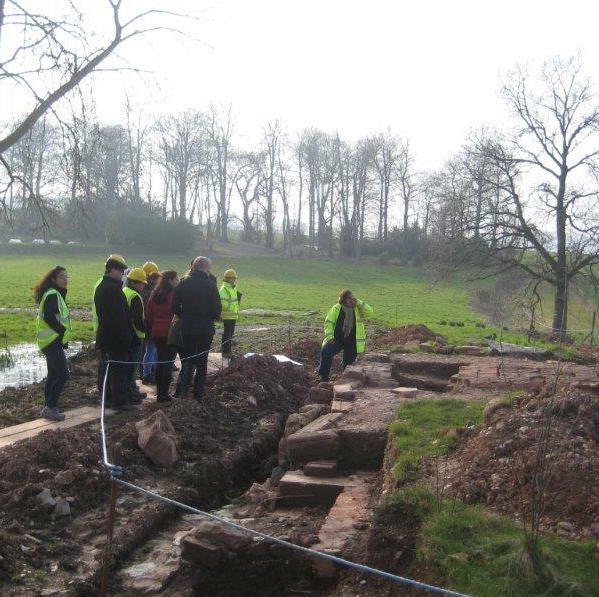 The visit, organised with the courses’ Director of Studies, Dr Michael Forsyth and Dr. Marion Harney respectively, was a unique opportunity for students to visit a building and landscape that is currently undergoing thorough opening up works, archaeological excavation and analysis, fabric recording, and targeted investigation. 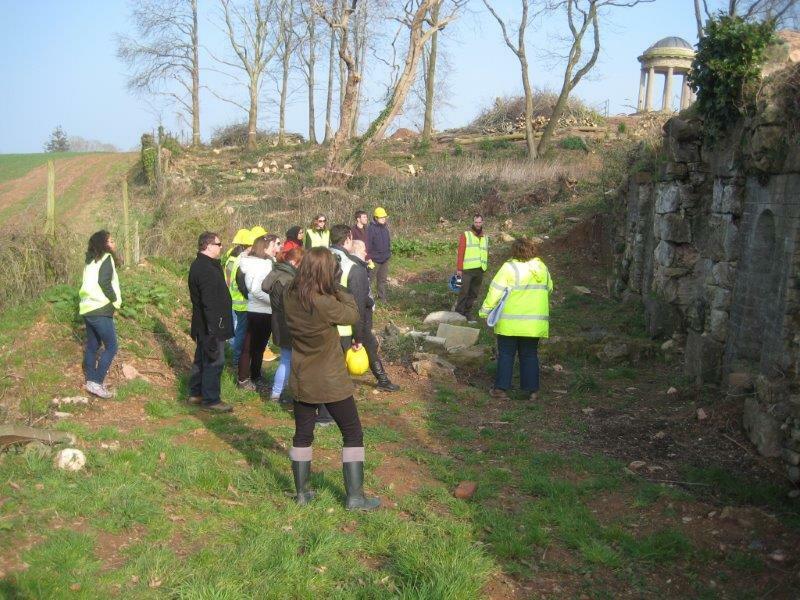 The site is a live construction site and so the visit began with a health and safety briefing and induction. 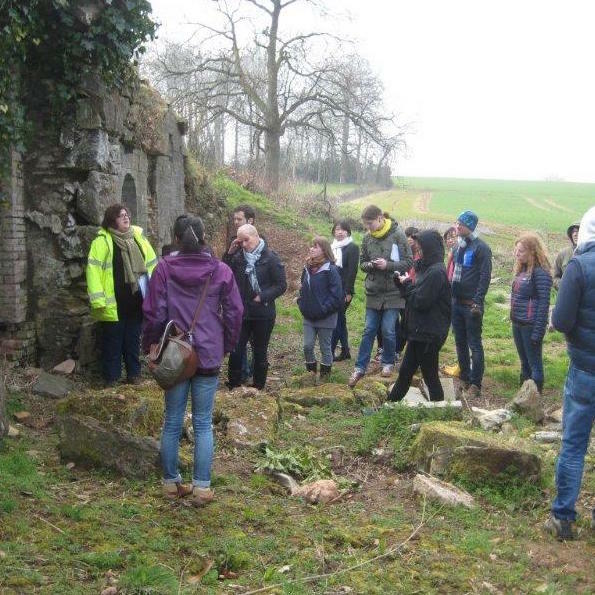 The students were then introduced to the history of the site and to the present scope of works before being given tours of the site by Mark Lidster of Corbel Conservation (corbelconservation.co.uk), Ann Manders of the Somerset Buildings Preservation Trust and ourselves. 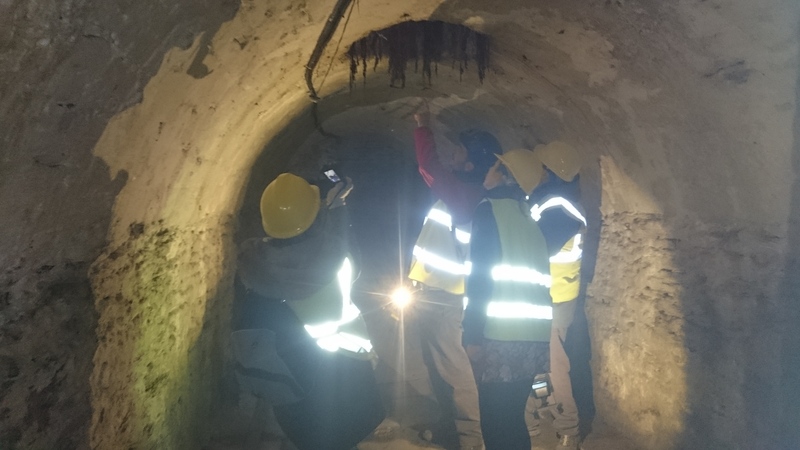 The tours covered the inside of the Tudor Range; the external scaffold and roof works; the rotunda; ice house and grotto; and the wider designed landscape and outbuildings that form Halswell Park. 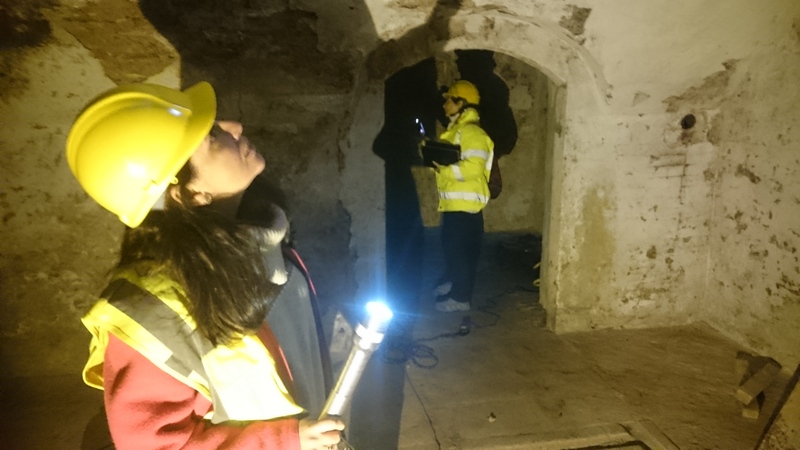 Most commonly study visits are conducted at completed projects where the answers to both practical and philosophical questions have already been decided and acted upon. 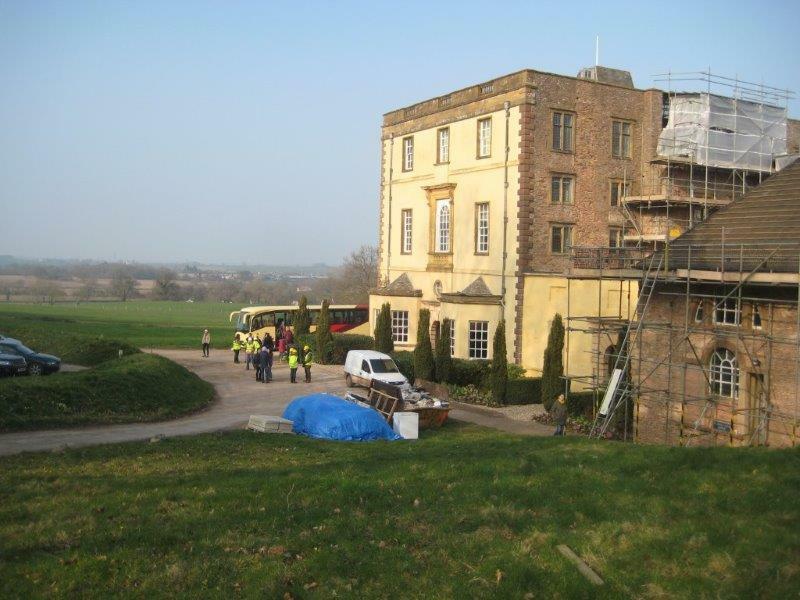 As the current phase of works is focussed on the opening-up and investigation works, the estate is still actively producing new evidence and presenting new questions relating to its origin, evolution of architectural detail and previous uses. 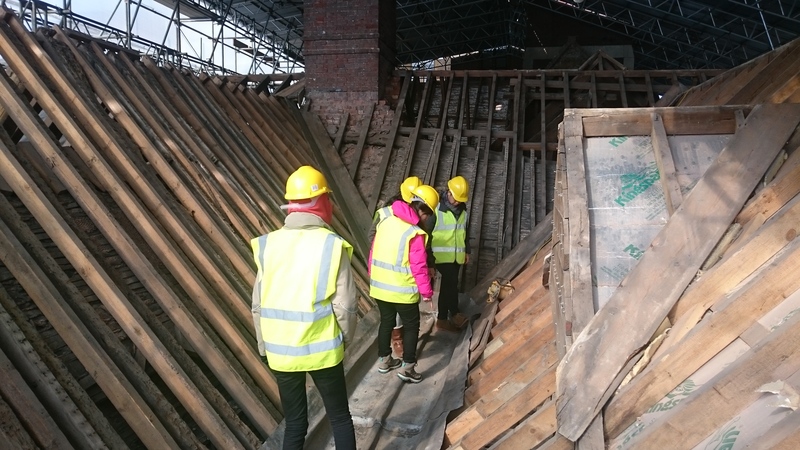 Therefore Halswell provided an rare but important opportunity for the students to be exposed to the realities of a complex and interwoven project and to meet the highly collaborative team working on it. 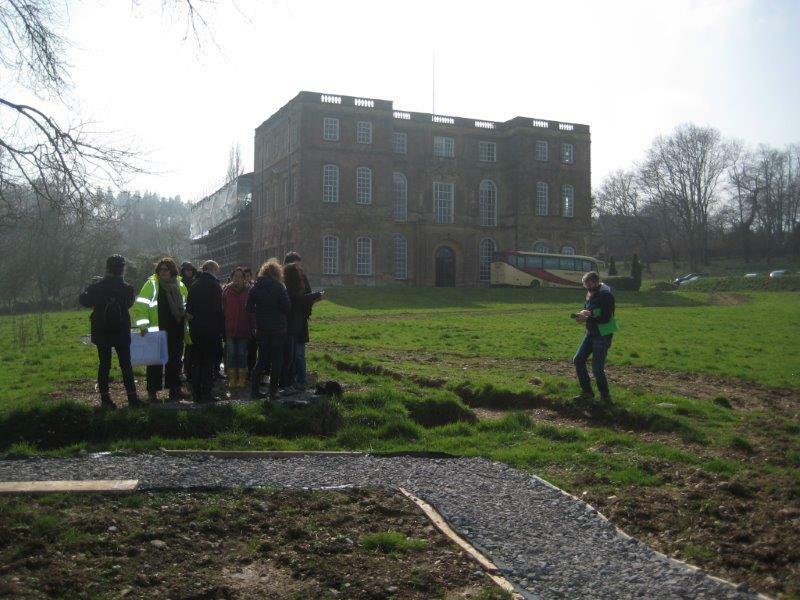 Feedback from the visit was very positive and we look forward to welcoming the students and staff back next year.